There isn’t much I can say about the passing of Rik Mayall yesterday that hasn’t already been said. It is a huge loss – his unique brand of anarchic comedy, from The Young Ones through to Bottom, Blackadder and movies like Drop Dead Fred, inspired a whole generation of comedians. At 56 it feels he was taken far too early, and as many other comedians have noted on social media (especially Twitter), he was a whirlwind of creative energy that has left a bit of a void all of a sudden. So, rather than ramble on any more, I’m going to include some of my favourite clips of his here. 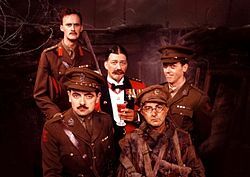 In order, there is the shop keeping scene from Bottom, then his first appearance as Lord Flashheart in Blackadder, then a scene from Drop Dead Fred (where he plays an invisible friend) and finally a compilation of some of his funniest moments from The Young Ones because it was too hard to pick one scene. Just a word of warning, some of this stuff might be offensive. Otherwise, enjoy! R.I.P. Rik Mayall! You’ll be missed. It occurred to me recently that while I have written blog posts covering some of my favourite comedians, I haven’t written any such list of my favourite TV comedies. By TV comedies I don’t mean stand-up or sketch comedy, I mean shows with storylines (however vague those storylines might seem at times). I choose not to use the word sitcom because some people associate that negatively with comedy, which is silly because every comedy with a storyline, no matter where in the world its made or set, is a sitcom. But I digress. This list will feature a mixture of British, Australian, NZ and American comedy, so it varies in style quite a lot. Here goes, in no particular order. 30 Rock – One of my favourite shows from the last decade, this award-winning show deserves all the praise it gets. Based on Tina Fey’s experiences as a writer for Saturday Night Live, the idea of a show focused on the behind-the-scenes of such comedy and entertainment shows is simple but effective. What really makes the show is the wide array of personalities in the characters, brought to life by some (surprisingly) great acting from the likes of Alec Baldwin, Tracy Morgan and others. Definitely one of the more intelligent comedies to come from America this last decade. It takes a few episodes to get into but it’s worth it ultimately. 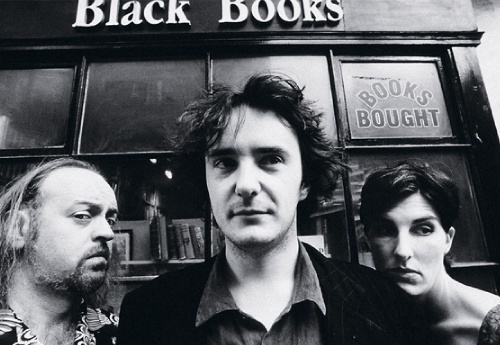 Black Books – One of the biggest cult comedy classics to come out of Britain recently (well, a decade ago but that’s still fairly recent), Black Books introduced us to Bernard Black, the grumpy drunk Irish bookstore owner on the outskirts of London, as well as his best friend Fran and bumbling assistant Manny. Only eighteen episodes across three series, every episode is amazing in its own way and even more so if you watch it in a marathon with a few bottles of wine and some good friends. Unsurprisingly, both Dylan Moran (Bernard) and Bill Bailey (Manny) have enjoyed growing success in their stand-up comedy careers since this show. One for book-lovers (and wine-lovers) everywhere. Blackadder – Rowan Atkinson’s other famous comedy series (Mr Bean being perhaps the slightly better known one), this showed off the man’s more sarcastic side of his humour. Each series was set in a different historical period, my two favourites being the Elizabethan England era and World War I. There was even a telemovie involving time travel made as a sort of reunion one-off back in 2000, and there’s a great parody of Charles Dickens’ A Christmas Carol (and a very clever parody, I might add). Atkinson was brilliant as the ever scheming Blackadder, but Tony Robinson as his dimwitted sidekick Baldrick was just as funny – it really does take a genius to play a total idiot well. Other notable regulars included a very young Stephen Fry and Hugh Laurie, as well as Miranda Richardson, Tim McInnerny and in the first series Brian Blessed. 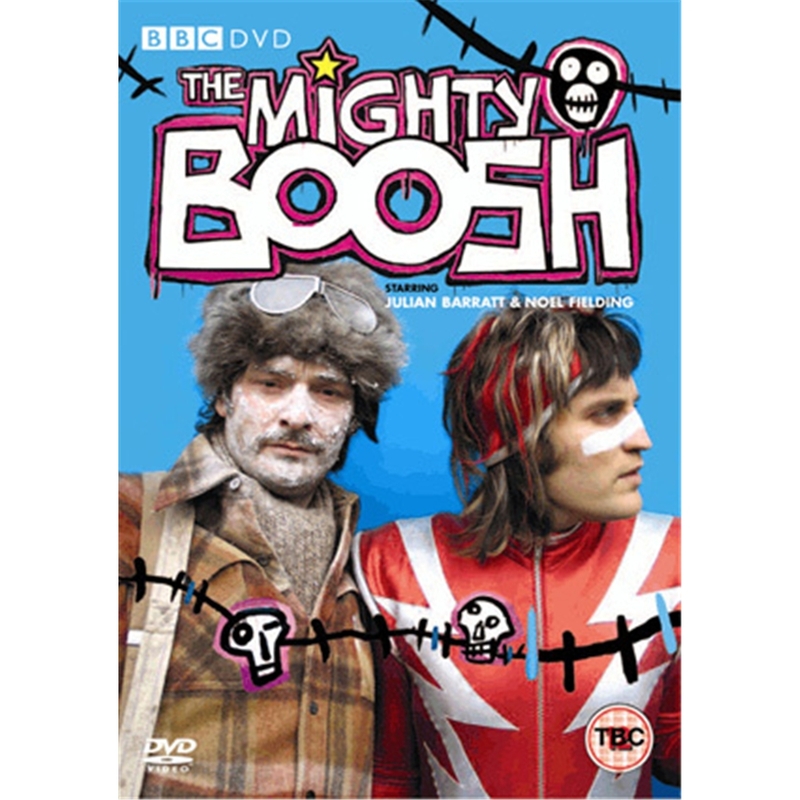 The Mighty Boosh – This unusual British comedy is one of those shows that I first saw in Australia about ten years ago late one night. After a single episode, I was both utterly confused and totally entranced and wanting more. With each series, the storylines became increasingly twisting and daring, not to mention more and more surreal, as the settings change from a dysfunctional zoo, to an apartment above a shaman’s shop, to the shop itself. But, despite this, the characters grow and develop as time goes on and you’ll soon find yourself warming to them as you sing along to some of the ridiculous songs in each episode. If you haven’t seen this, watch it in order from the first series – the second is the best but it takes a while to get used to, I think. The IT Crowd – While many people think of The Big Bang Theory when it comes to sitcoms about nerds, for me I’ll always prefer The IT Crowd. This recent British classic comedy wrapped up last year with a one-off episode that follows from four very successful series, and centres around two young computer geeks who work in the basement of the giant building for Reynholm Industries. It also centres around their boss, Jen, who knows nothing about computers, and the big boss of Reynholm (the boss changes from season two onwards to the “son” of the boss from the first season) who is constantly trying to sleep with Jen. The storylines are sometimes absurd, but that only adds to the charm of the show in my opinion. A must-see comedy from recent years, it was created by the same person who created Black Books, Graham Linehan, for a bit of extra trivia. Danger 5 – This bizarre Australian comedy parodies the 70s spy genre in the most unusual way – Hitler is alive in the 70s, for no explicable reason, and the show centres around a group of spies who try to stop his various plans and fail to assassinate him at the end of each episode. Some of his plans include things like, you know, bringing dinosaurs back or kidnapping an entire country – normal stuff, basically. Despite seeming over the top, this series was actually really hilarious and a pleasant surprise. I’m hoping there’s a second series coming sometime soon. 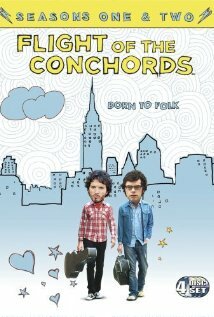 Flight Of The Conchords – In real life, Flight Of The Conchords are a NZ music duo who write comedy and parody songs, and who are both immensely talented. In the television show named after their band, they play fictionalised versions of themselves as they pretend to try and make it in New York, with little success apart from one super creepy but hilarious stalker. The first series of this is much better than the second, as the first series was written after the songs, but the second series they had to write the songs and episodes simultaneously which loses some of the magic. Still, both series are well worth watching – this show is very cool, very awkward and very funny. One for music fans everywhere, and also for both Aussies and New Zealanders (as there are so many jokes in there about the relationship between people from the two countries). 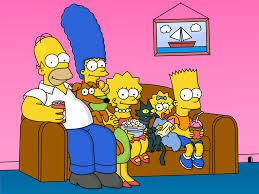 The Simpsons – This might be stating the obvious, but really I couldn’t not put The Simpsons on this list. I have grown up with this show (I am barely older than it), and despite its low points I also think it has bounced back in recent years (but everybody is too jaded from when it got bad ten years ago to try it again – seriously, watch some new episodes, they’re pretty good again now). Some of the highlights of my day on Twitter are the quotes of the day from this show (with accompanying pictures). When a show has been around this long, it’s alarming how much you can relate to it – “it’s like on that episode of The Simpsons” is a phrase I probably use too much, but I don’t care. I will always love this show, end of story. (And no, I’m not comparing it to Family Guy which I also love because that is like comparing apples and oranges). 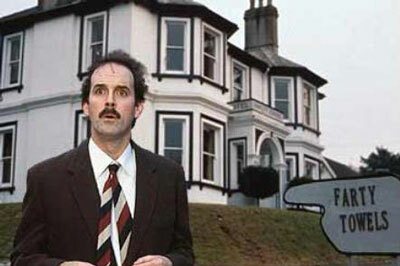 Fawlty Towers – In Monty Python (which, due to its sketch show nature I cannot include here) John Cleese became famous for his enormous height and lanky body which he could use to great effect in sketches such as the Ministry of Silly Walks and so on. He also became known for his anger (he actually had genuine anger problems back in the 1970s mind you), and so he managed to bring hotel owner Basil Fawlty to life in a mix of rage and slapstick silliness across the twelve (yep, there’s only twelve) episodes of this classic comedy. First shown on television in 1975, the same year Monty Python and the Holy Grail was released in cinemas, this show helped take Cleese’s fame to all new levels, and for good reason. If you haven’t watched this in a while, watch it again. Trust me. 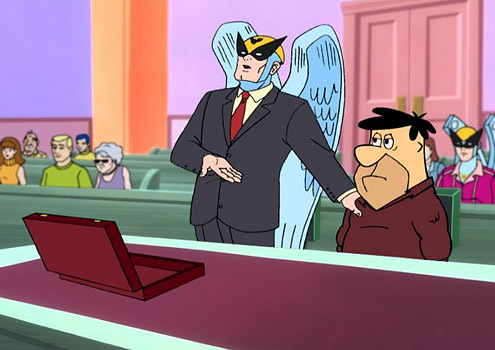 Harvey Birdman: Attorney At Law – This show features Harvey Birdman, once hero of classic Hanna-Barbera cartoons from the 1960s, as a laywer who fights cases often with his old enemies as the other attorneys. The clients also come from other characters from those old cartoons (one of my favourites is The Jetsons, who inform Harvey they’re from the future, from the year 2002, as he looks at his 2004 calendar on his desk in confusion). A very clever and witty reinterpretation of old characters, this show stayed interesting and hilarious across all three series and thirty-nine episodes, and I would consider it the best of all the Adult Swim cartoons by a long shot. And there we have it! My ten favourite sitcoms of all time, and many of these have ranked among my favourites for a very long time already so this isn’t the sort of list that is likely to change easily, either. So, what are some of your favourites? I’d love to hear from you in the comments! Today is a writing catch-up day of epic proportions. 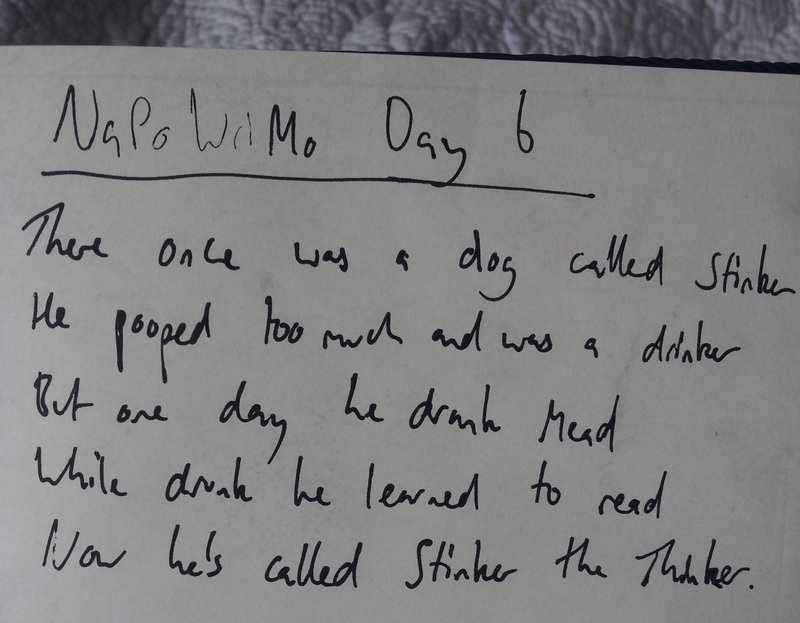 Ten days into the month, I started today a full week behind schedule on both Camp NaNoWriMo (where I’m writing 30000 words worth of short stories) and NaPoWriMo (where I’m writing 30 poems). As I write this blog post, I am now three days behind on the poetry front but still six behind with the short stories, so it’s time to return to the world of talking animals (which is mostly what my short stories have become). Until next time…unless I lose my mind in a storm of caffeine induced panic. If you don’t know what Hyperbole and a Half is, you probably should go there right now by clicking on the link half a sentence ago. It’s an amazing blog by Allie Brosh in which she tells tales from her life in a hilarious fashion accompanied by drawings done on Microsoft Paint and done badly on purpose because it’s kind of funny. Her blog is award-winning, and her depictions of her own experiences with depression have been greatly praised by many experts for conveying it so accurately (part two of this blog, which appeared after over a year’s absence, had more than a million hits on the first day apparently). Upon her return she announced she was working on a book, which would comprise of some of her funniest stories from her blog while also including several new ones (which aren’t on her website). Sometimes when bloggers or cartoonists make books, they don’t have much new content, or at least nothing really enticing to make it warrant actually buying the book. But this case is an exception – if you like the blog you must buy this book. Please. Just do it. You won’t regret it. The stories she has chosen from her blog to include in this collection include two of my favourites, The God Of Cake and Party, as well as both parts of the Depression posts (which you should go read on her website if you haven’t already). 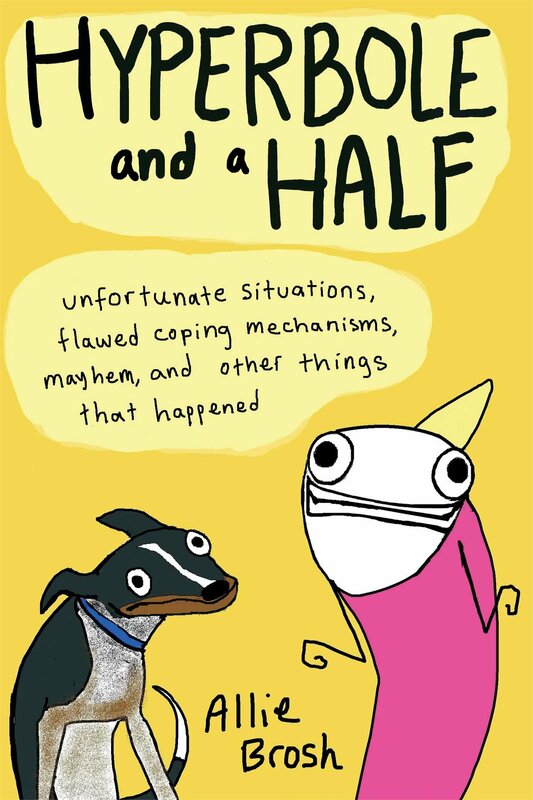 Some of her new tales include more stories from her childhood, more stories about her frighteningly simple dogs including one that is addressed to them in the hope of helping them survive normal situations in life (with a hilarious Q&A section with questions from the dogs themselves), and more reflections on her own identity as an adult. The new material is just as good as her best work, and just as funny and insightful, and it’s clear she put a lot of effort into this book and didn’t just rush it to try and get it out on the shelves already. What I particularly love about a lot of Brosh’s writing, apart from how funny it is, is the fact that so much of it is relatable. Sure, not everybody has dogs quite so lacking in the brain department as hers, but dogs are odd creatures who do bizarre things for no reason and she explores that phenomenon so well. Not everybody has experienced what she has, but a lot of people have, and those who haven’t have at the very least probably shared some of the thought processes she explains in this, despite how seemingly ridiculous they are. And everybody can relate to the insane childhood stories – we all probably have similar memories of our childhoods whether we remember them or not. There is something impressive though about the way that she can make these stories seem so much like something all of us have been through and at the same time clearly unique and personal, with her own distinct voice shining through both the words and the drawings. If you have ever read this blog you must buy this book, as you will love it. If you have never read her blog, go read it first, then buy the book, as you too will love it. 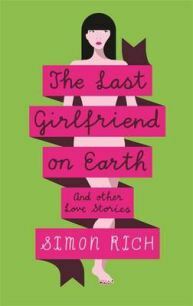 If I ever wrote a book half as funny as this one, I would be over the moon! What are your thoughts on the blog Hyperbole And A Half? What other blogs turned into books have you read that you would recommend? It’s election night here in Australia. The results are coming to an end, the government has officially changed, we have a new Prime Minister and approximately half the country are absolutely outraged by it, as is often the way. But I’m not interested in blogging about politics, and never really have been. So I’ve decided we all need a really good laugh, and after struggling to find enough funny quotes from real politicians, I thought I’d look elsewhere…enjoy! By the way, yes, I am aware these are to do with American politics, but they’re still funny. Probably the best place to laugh at Australian politics specifically (apart from just watching it all) is the likes of television shows Gruen Nation, The Hamster Decides, and Mad As Hell (all of which I imagine are online somewhere – the Mad As Hell clip on the different broadband schemes is hilarious). Also, I might just add now that I’m not going to have any real political discussion on my blog, because I’ve been doing enough of that on Twitter and that’s not really what my blog is about, hence some funny quotes (as my blog is about, among other things, comedy). So feel free to comment as always, but just keep in mind I’m not really planning on talking about politics much more (but of course I will reply to comments as I always do). Hope all my fellow Australians are managing to enjoy their evening one way or another, and hope everyone else around the world is having a good weekend!